Making the decision to rent a new office space is undoubtedly an exciting achievement you should be proud of. If you have a need for an office space, you’re more than likely making a name for yourself and growing your list of clientele. But before you dive in and make the decision to rent just any office space, it’s crucial to take the time to consider your options. Here are ten tips to help you find the best office space for lease. Choosing a centralized location for your office leasing is an important part of the renting process. Maybe you love the scenery and peacefulness of working in the country, but will your employees be willing to make the drive out of town? Will your clients be willing to travel outside of the city? Does the location have enough desirable amenities such as coffee shops, retail stores, banks, and restaurants? Additionally, you should consider the hiring of future team members. Which cities and locations will allow you to search for the most talented professionals to add to your team? If you find that the most attractive offices for rent are way over your price range, keep looking. Moving into a new office space is meant to help you grow your business and make it more profitable—not bankrupt the company you’ve worked hard to create. You’ll want to make sure that you have a budget for any additional expenses that may come up. For example, consider the cost of furnishing the office, purchasing office supplies, and the cost of utilities. You’ll also need to find out if any maintenance fees are your responsibility, such as snow removal or de-icing. When viewing offices for rent, make sure you ask the landlord who is responsible for any repairs the space may require. Is the landlord responsible for fixing any repairs or maintenance issues, or will they be your responsibility? If they are your responsibility, you’ll want to include these additional fees in your business budget. Many offices for lease include building amenities such as after-hours security systems, cameras, guards, and other security systems. Depending on the type of business you have, you may feel more lenient about the security level, or you may be more comfortable renting an office space in a higher-security building. When you decide on an office space for rent, make sure it’s a space that fits your current business needs with extra space to grow.When you rent your first office, you probably don’t need a bunch of extra offices and storage space, but it may be helpful to have some room to comfortablyhire new employees and expand your team. Many businesses are taking advantage of open concept work spaces that help to improve collaboration and office creativity. However, your personal preferences may lean toward closed-off or more private work spaces. 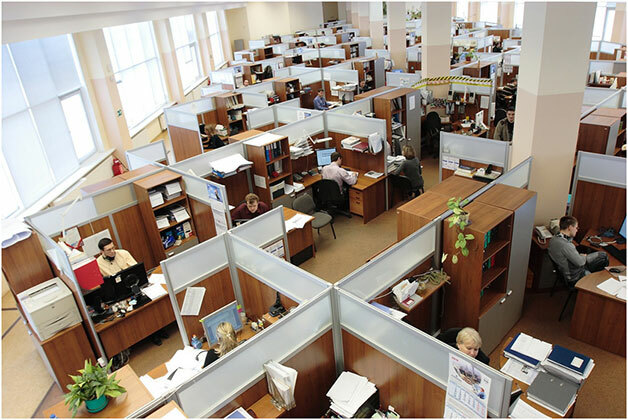 Additionally, the layout of your office leasing may depend on the type of work you do. Before you decide on a new office space, consider the pros and cons to various layouts and office styles. Imagine finding the perfect commercial space for rent—and then realizing that parking isn’t as convenient as you had hoped. Maybe there aren’t enough spaces, the parking is costly, or it’s detached from the office and would be too much of a hassle for you and your team. Before you get your heart set on an office space, consider all the parking amenities available for each space. Additionally, you may want to consider available bike storage optionsand nearby public transportation locations. Unless you’re considering an office space for lease and nothing more, you’ll probably need some sort of meeting location in the office you choose. Whether it’s a conference room, several smaller rooms, or a kitchen—it’s good to have some additional space in the office for meeting with colleagues and potential clients. The lease of your new office space should be another important factor when deciding on a new property. Renting your first office space can be an exciting but stressful event, so you may feel more comfortable in a shorter lease so you know you can back out if things don’t go as planned. Additionally, you may be better off in a shorter lease if you plan to grow your team and you fear that you may outgrow the space. When searching for office rentals, the last thing on your mind may be breaking a lease. After all, you haven’t even chosen a space or moved in yet! However, you never know what the future will bring so it’s helpful to be prepared and consider all your options for renting an office space. Before you sign a lease, ask the landlord about any penalty fees or additional charges for breaking the lease. The more you know in advance, the better prepared you can be should anything major come up.